Klayman: JW Ethics Complaint for Show Not for Dough! No Chance Pelosi House Will Act! Conservative government transparency group Judicial Watch filed an official complaint with the Office of Congressional Ethics against House Intelligence Chairman Adam Schiff (D-CA) on Monday, alleging the congressman acted inappropriately when he met with Fusion GPS founder Glenn Simpson and former Trump attorney Michael Cohen ahead of their congressional hearings. Last week, The Daily Wire reported on Schiff's "nagging ethics questions," pointing out that Schiff's meeting with Simpson carries the appearance of impropriety, as it occurred before Simpson testified about his involvement in the alleged Russian collusion narrative and his role in the FBI's previous investigation into Hillary Clinton's private email server. 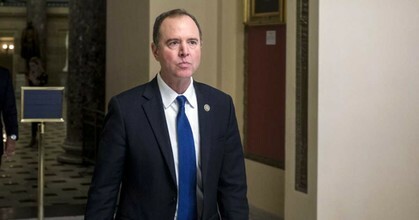 The article was published just before it was revealed that Schiff met with Cohen for a total of 10 hours before the latter testified before the House regarding what he knows about other alleged crimes committed by President Donald Trump.